In a general sense, this decision is frustrating to private equity managers who have already been subject to federal or state Investment Advisory regulations. The broader message is that the SEC is and has been putting more effort into investigating private equity’s business practices over the last several years. Andrew Ceresney, Director of the Division of Enforcement, made a keynote address at the Securities Enforcement Forum West held in May of 2016. In this informative address, Ceresney highlighted why the SEC has increased focus on private equity, which business practices are central to the focus, and the changes that have occurred because of the increased focus. The why? There is roughly four times the amount of capital in private equity funds today than there was in 2000. Ceresney stated that, ”Preqin”, which is an alternative assets data and intelligence firm, “estimates that, as of June 2015, private equity advisers worldwide managed $4.2 trillion, much of it in the United Sates, compared to just over $700 billion in 2000.” The SEC is concerned with protecting the investors in this growing industry. Ceresney mentions that, “public pension plans frequently invest the retirement savings of their plan beneficiaries-which include teachers, police officers, and firefighters- in private equity funds.” He goes on to say, “Further, university endowments – which fund scholarships and other important academic programs – invest in private equity funds.” It is clear that many people’s financial health is in the hands of private equity fund advisors. The business practices on the radar of the SEC includes allocation of expenses, inappropriate fees, and issues related to marketing and valuation. The action against Blackstreet falls into the bucket of fees. Ceresney points to other cases whereby firms have undisclosed fees and expenses, expense shifting, and failure to disclose conflicts of interest. While the rationales given by the firms point to how the investors still benefited and how approval was given by legal counsel, the advisers’ fiduciary responsibility trumps these rationales. Ceresney finishes his address by expressing the changes that have been made to the industry based on the landmark cases and increased focus in recent years. He states, “we have helped to significantly increase the level of transparency into fees, expenses, and conflicts of interest, and have prompted real change for the benefit of investors.” Additionally, “there has been a significant and encouraging uptick in investors seeking additional transparency concerning advisers’ fee and expense practices. While these larger PE firms have been the focus of the SEC it is important to note that these cases set a precedent. PE firms, small and large, must be diligent in how they structure their fees. If transaction fees are involved, without broker dealer registration, they run the risk of a similar enforcement actions and fines. 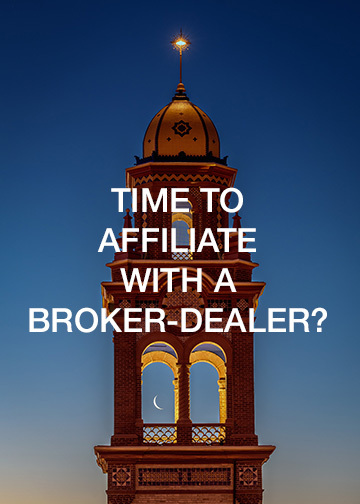 An unaffiliated broker-dealer platform such as Burch and Company is also an alternative that is simple and ensures transaction based incentive compensation is paid in accordance with current US securities rules and regulations. Burch & Company is a broker-dealer registered with the Securities and Exchange Commission and a member of FINRA. We can register private equity professionals who are to be paid transaction-based compensation. Give us a call for more information.